Rover 75 Dashboard Fault Showing All Nine's 999999 ? As you may now be aware the Rover 75 has a common fault with the mileage display. Some form of electrical spiking on the vehicles electronics usually causes this. The most common cause of this is that the battery has gone flat and the vehicle has had to be jump-started. The value of your vehicle is now considerably lower due to the mileage showing 999999. Any prospective purchaser would probably know that the car had not covered such a high mileage, but never the less it would still put them off. 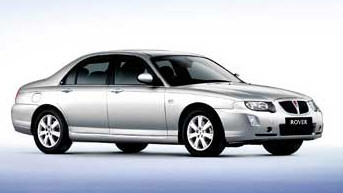 The rover 75 holds the mileage in three different units within the vehicle. The dashboard, EWS (immobiliser) and the LKM (light control module) We can re-program all units to the original mileage therefore helping you realise the full market value of your vehicle.